Students love this interactive career website! If you have the luxury of being able to sign-up to use your school's computer lab, you can bring your first-third grade students during classroom guidance for every student to explore careers, test their career knowledge, watch short and informative videos about different careers, and complete worksheets to record what they learn! 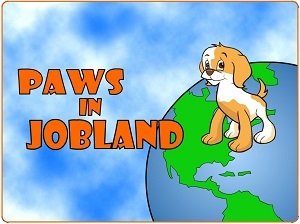 If you are not able to bring an entire class of students for a guidance lesson in the computer lab, you can let teachers use a computer for a center with the PAWS in Jobland website as a bookmark, along with 40 different lesson plans. Job Finder asks students 26 yes/no.maybe questions to match their interests with jobs. The Quiz allows students to show what they know and what they learn from Jobland. The ABC Search give students an opportunity to find information about 128 different careers! Thanks for the nice comments from my ASCA article! 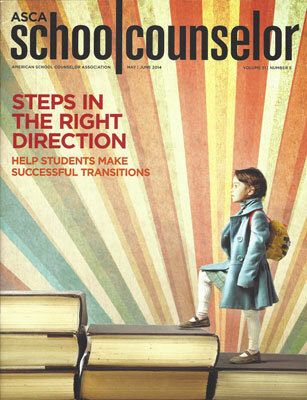 I appreciate your thoughtful comments about my article in the May/June issue of ASCA's "School Counselor" magazine. The title of my article is, "A Perspective Shift: Students who are having a difficult time reaching their goals often need a shift in perspective. Learn how you can help them make this adjustment." If you are an ASCA member, click here to view. I can't post the article on this blog. In order to view the article on the ASCA website, you have to be a member. If you're not a member, JOIN ASCA to stay current with counseling research and best practices! As the school year is winding up this week, I am looking forward to attending the ASCA conference in Orlando from June 29 - July 2. I am especially looking forward to seeing some of my favorite presenters (Julia Cook, Eric Sparks, Ed Jacobs, Russ Sabella, along with my Carolina colleagues: Fran Hensley, Nicki Neumann, Beth Lindsey, and Angela Poovey). Being around so many excellent counselors is inspiring, refreshing, and well worth the time! I will be presenting my "Fun Ways to Create Goals, Track Progress and Monitor Success" session on Tuesday. I enjoy breaking it down for counselors to create simple ways to use data with individual counseling sessions, group counseling and even classroom guidance. NCYI will be selling my Progress Cards and Playshops books at their booth. Most students LOVE Field Days--especially after all of the testing is finally over! I like to connect my last guidance lessons with the Field Day activities to help students practice working together and to help them see how their results can really improve when they show good teamwork. One simple activity is for the students to stand in a circle, with each student holding a pencil. 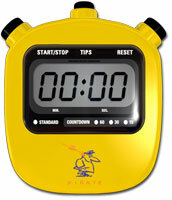 I simply time how long it takes for a Wiffle® Ball to be passed completely around the circle from start to finish. The only rule is that everyone must use their pencil to move the ball. Before we begin the activity, I ask students what would excellent teamwork look like? They say things like, "Good listening, encouraging words, being patient, don't yell at people who drop the ball, etc." 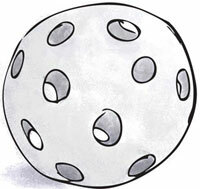 I ask students to estimate how many second they think it will take for the ball to go all away around the circle. We count the total number of students to help estimate the time. We also estimate the number of drops that will be made. After the first round, we compare the numbers to our estimates. Was it better, worse, or the same? What were some good examples of students showing good teamwork? Who was patient? Who was focused? Who watched others while they waited to see what works best? Who was encouraging or nice if someone dropped the ball? Before starting the second trial, I ask the students to share with each other what they think would be necessary for the time and/or drops to improve. 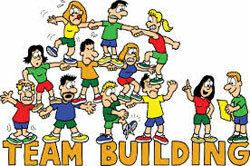 Who can share how THEY want to demonstrate better team-building skills? After the second trial, a similar conversation helps students analyze their performance. How would team-building make a difference in a factory where workers are making toys? How would saving 15 seconds make a difference over an 8-hour shift? How much money could you save if you could prevent 2 drops (damaged toys thrown away) every hour? In the comments below, please share some of your favorite team-building activities with students. 5 tips for starting the school year off with the success! I enjoy meeting parents who are looking for the perfect school for their child. I appreciate their intentions and I can understand their fears. They want their child to be safe, make life-long friends, learn, and start their school career on the right track. This is admirable that they are taking the initiative to make the most informed choice in a school for their child. If the child is transferring from another school, I like to ask parents why they are leaving. Did they really try to work it with the teacher, counselor, administrator or are they just leaving and hoping for a better result somewhere else. I caution them that switching schools is a big deal and that it should really be the last resort if they weren't able to resolve the problem. Attend Open House, join the PTA, and sign-up for one of the committees. This will get you involved and hep you meet other parents. 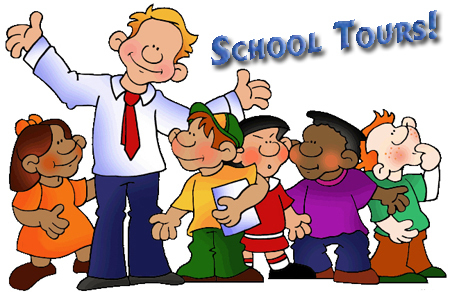 Attend school functions and meet other parents. This will show your child that you are also a part of the school. Play on the playground over the summer. Bring a picnic lunch. You will probably meet other parents and this will be a great way for your child to familiarize their self with our campus. If your child has never attended a preschool, you need to start practicing being apart. Let them join a day camp over the summer in an area of interest to them. If you've never had a babysitter, this is the time to start. They need to get used to other adults in authority. Read to your child. Ask them what they think is going to happen next. What are their favorite parts of the story? How many details in the story can they remember when they retell you the story? If the child has ADD, Asperger's Syndrome, Anxiety Disorder, or any other health concerns, I recommend for the parents to email the principal over the summer to request the best teacher placement for their child. I suggest for them to request: a teacher who will not be leaving for maternity leave for 6-8 weeks and have a substitute teacher, a teacher who will not be retiring in the middle of the year and have a replacement, and a teacher who is firm and consistent while also caring and compassionate. Most principals have an idea of teachers who are leaving for maternity leave, retiring, and who works best with students need the structure. In the comments section, please add any other advice you give parents on your school tours.